Or Just Watch On Helplessly? Learn How to Stay Calm, Take Control of the Situation and Respond in the Critical Moments Before Help Arrives. If your child were to suffer from one of these serious or even potentially life-threatening situations, would you know how to save your child's life? The Kids FIRST Aid Paramedics will teach you exactly that. Imagine this...your child suddenly experiences a medical emergency. You instantly call Triple Zero (000). You know how to take the precise medical steps to help your child—in the crucial minutes before the paramedics arrive. Knowing the correct procedures CAN make the difference between life and death. And yes—you can learn the correct procedures…in about 3 hours. Hi we’re Katie and Ben Fisher. We’re Intensive Care Paramedics, with in excess of 30 years on road experience. We also have 3 children. WHAT HAPPENS IN THE FIRST FEW MINUTES IMMEDIATELY AFTER AN ACCIDENT OR MEDICAL INCIDENT CAN MAKE ALL THE DIFFERENCE. So, along with Jen Douneen (and mother of 3), we started Kids First Aid. Kids First Aid Paramedics specialises in teaching parents and carer's how to deal with the 10 most common emergency situations facing Aussie children…using current first aid protocol, presented in an easy-to-remember and entertaining format. Thousands of parents and caregivers have taken our courses and gained the peace of mind knowing they can deal with an emergency situation. This engaging and practical course covers the 10 most common emergency situations. At the end of 3 hours, you'll know precisely how to deal with the emergency situation before the paramedics and first responders arrive. You'll also receive a take home poster to remind you of the correct techniques. Your entire workshop tuition is just $85 per person (plus GST). A nominal sum to ensure you're equipped to respond to a first aid emergency, whenever the need arises. Unlike many other first aid courses, ALL our workshops are delivered by qualified and experienced paramedics - many of whom are parents themselves. By popular request, now you can host your own private Kids First Aid workshop in your home or private venue. That's right - now Australia's leading first aid course for new parents, and the only course delivered exclusively by trained paramedics, will come to you. As paramedics and parents, we know the vital importance of the first few minutes during an emergency. What happens in these minutes can make all the difference when it comes to your child's wellbeing. Know the correct techniques and you can significantly help your child — or another. Click here now to view upcoming workshop dates and venues. P.S. We hope to see you at a Kids First Aid event soon. Please don't delay your decision to attend. Although we hope you never have to use first aid in a critical situation, it's better to be safe than sorry. See upcoming workshop dates and times now. "You Helped Me Save A Life" "First-TIme Parents, New Skills" "A Quick Knowledge Refresh" "Today I Had A Wake-Up Call" "A New Approach To First Aid" "I Feel Prepared And Empowered"
We chose kids first as it was local and convenient and we could take our small person with us. We learnt what we could handle at home and what we needed to take to ER. The handy chart lives on our fridge as a reminder. Thankfully we've only had to use the skills gained once so far (my daughter decided chewing wasn't for her and choked) I was able to stay calm administer the correct procedure and it was all over in seconds. Chewing still isn't high on her priority list but no other incidents have occurred! The course gives you only what you need which as a new parent is great as there is little room in your head for anything else! If I hadn’t attended the workshop, I would not have known what a febrile convulsion was and what to do. I attended the Kids First Aid workshop when my daughter was 7 months old. Years ago, when I had my first child, the council provided this service to my mothers group when our bubs were only 3 months old, but this time around the same opportunity wasn’t there, so I thought it was important to take it upon myself to get some training. The workshop was in a relaxed atmosphere, without the pressure of tests and certification. The presenter was unbelievably experienced and made the information very accessible through a combination of both theoretical and practical application. His many anecdotes of the first aid techniques being used in real life, really help me absorb more information. A few months after I attended the Kids First Aid workshop, my daughter had a febrile convulsion. She wasn’t even 1. Whilst it was the scariest moment of my life to date, if I hadn’t attended the workshop, I would not have known what a febrile convulsion was and I would have had no idea what to do. Instead, thanks to what I learned in the workshop, I knew that the convulsion was fever related, I knew to call the ambulance and how to care for her until they arrived. I firmly believe every parent must be trained in kids first aid and I would highly recommend this workshop for anyone who wants to ensure that they really understand and remember what to do if an emergency should arise. Definitely worth my Saturday morning! When I decided to do the course, my mum recommended it and I thought- 'do I have a sat morn to devote to this?'. In hindsight I can't believe I thought that- but it's true. Then I read a customer story on Website where a mother used her first aid skills in a life-threatening situation and I didn't have to make a decision. Now having done the course maybe 6 weeks ago, I have the poster on my fridge and used it for the first time last weekend. But not for my son ( thank god) but myself. I was making a cake- with a thousand things on my mind, dinner on one stover, blender in one hand, peeping lunch pack for Harper when he wakes up etc. needless to say I was not taking care and time using the blender and needed to slow down. Instead I used my finger as a fast shortcut solution to clean the blender mid blending and blended the top of my finger. It took me a few minutes to come back to earth and realise what had happened at first I thought I'd lost the finger because of the amount of blood and flesh I could see, which made me freak out. I immediately grabbed the phone but with blood dripping all over the phone j couldn't slide the iPhone to make a call- remembering Harper was sleeping j thought I need to do something and calm down- worst case scenario would be I faint before contacting someone and my baby is alseep and alone. I ran to the fridge, which reminded me, - simple- stop the bleeding! Grabbed a tee towel and wrapped it tight, held my hand up and the bleeding slowed- allowing me to use the other hand to make two phone calls- an ambulance and my husband. Many stitches later I still have an index finger, just cut through a nerve, artery and some of the tendon. Could have been so much worse- but I learnt confidence in your course that I can handle it, and how important it is to make that call ASAP- After the initial first aid. A perfect mix of an overview of first aid plus a closer look at common incidents relating to children. My husband and I both hold first aid certificates, however we felt that a specialised workshop on first aid relating to children would be a smart thing to do before the birth of our baby boy! I would never want to be in a position where I wished I knew how to do something to help either my child or someone elses, when a simple half day course would have given me the knowledge and confidence to act. It was interactive in the sense that questions were encouraged and people felt comfortable to stop and ask quesitons along the way. The course run at a good pace, it was fast flowing however was specific and detailed where it made sense for it to be. A perfect mix of an overview of first aid plus a closer look at common incidents relating to children. Only a couple of weeks ago I gave my 6month old a piece of bannana. He is only just starting on solids, and was doing really well with most things. A small piece of the banana got stuck in his throat and he started to choke. I took a breath hoping he would be able to spit up the banana, but he didn't. As his arms waved around and he looked at me with the most horrific expresision I think I have ever seen I took the steps which I had been taught in this course. There's a good chance that he would have been able to dislodge the banana, but knowing exactly what to do gave me the confidence to act, without panic and help him. I cannot tell you how pleased I was that I knew what to do! All the doctors are in disbelief that I haven't had any medical training because I did the CPR so effectively. "I will be forever indebted to Katie Fisher from kids first aid. Around a week or so after completing the course my grandfather suffered a cardiac arrest in which heart stopped beating and this condition is almost always fatal. I was able to perform CPR for around 26 minutes until the ambulance arrived. The ONLY reason I was able to do this was because of the skills that I learnt during the kids first aid course. All the doctors are in disbelief that I haven't had any medical training because I did the CPR so effectively. My grandfather suffered no ill effects and is back to normal, again, which the doctors can't quite believe"
I completed your first aid course with Allan a few months ago. As a result - today, I saved my daughter's life. My daughter is crawling - 8 months old and into everything. Got into the baby bad and picked up a seal from a 'rafferty's garden' baby food pack and put in her mouth. My husband saw her crawling up the corridor going bright red, unable to breath. Called out to me and immediately, I picked her up - put her on the bed with her head over the edge and backslapped her (hard) until she threw it up - about 10 seconds later. After then heading to emergency - I was told I'd done exactly the right thing and probably saved her life. Happy to say, she's fine now. Your first aid course gave me the knowledge and confidence to help her and I'll be eternally grateful. Huge thank you for your course. I truly think it had a big part in saving my daughter's life. My name is Jess Fealy and we organised and attended a First Aid Session with your company last year. I just wanted to say thank you soooooo much for providing such a great session because what I had learnt had a lot to do with staying calm and helping my daughter while she choked on her dinner last night. Lexi - our 12mth old daughter choked on a piece of chicken which she was having for dinner last night. She went very purple, her lips were blue and she was not making any sound. It was absolutely terrifying. However I think that I stayed reasonably calm, called 000, and kept her across my knees, hitting her on the back. Thinking back now I know I didn't hit her on the back anywhere near hard enough - I just didn't seem to be able too. Luckily for us - after about 2 minutes by which time Lexi was very purple and limp - the food seems to have sorted itself out and go down into her tummy as we never saw anything come out of her mouth. By the time the Ambulance arrived Lexi's colour was returning and she ended up being fine. Although I didn't do everything as I should have I think I did at least have the confidence to stay calm. Anyway - just wanted to say a huge thank you for your course. I truly think it had a big part in saving my daughter's life. In December I took my 12 year old daughter with me to one of your first aid courses. This was in anticipation of her babysitting for others in the next few years. Today it paid an unexpected dividend. As she and her 11 year old brother got off the bus and crossed the road, the young woman walking in front of them collapsed. My 11 year old instinctively put out his hand to catch her head. My daughter moved the young woman to a safer place on the road by an island and placed her in the recovery position. She then enlisted the help of an adult asking them to call the ambulance. Shortly further adults came to help and the ambulance arrived. The only down side was that the paramedics assumed that the kids were just nosey parkers and told them to go away. Thanks to your course my 12 year old daughter had the courage and confidence to act in this unexpected situation. Just a quick note to say that I attended one of your sessions a few years ago and often glance at your information sheet that is posted in my pantry. About an hour ago my 2 year old daughter swallowed a 5 cent piece and wasn't able to breathe. The look on her face was terrifying. Thankfully, as I said above, you helped me be prepared and know what to do. After the 5 back blows she spluttered, wretched and must've gotten the coin out of her airway as she started breathing again. It was honestly the most terrifying thing I've been through with my kids. I did your first aid course in Balmain several months ago. Last month my 11 month old daughter suffered a febrile convulsion whilst in my arms and stopped breathing. Her mouth and lips went blue & purple and she had a full convulsive fit. She had a fever that rose quickly and because of your course, I recognised the signs of what was happening, placed her in the recovery position on the floor till the fit stopped and called the ambulance. Although a terrifying experience as I was home on my own, I kept calm and felt in control knowing I had the knowledge to help me daughter through. I thought you should know what a difference it made to me in a emergency situation. My husband had not done the course and booked it and did it straight after, as he would not have known what to do. Thank you. Real life examples, specific and relevant, perfectly timed and run in a professional but relaxed manner. 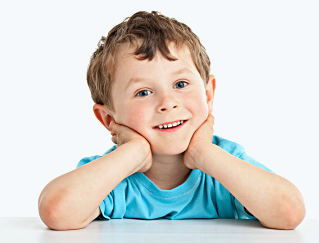 Kids First Aid gave me vital training in a lively, interactive and extremely helpful way. The take home poster has a reassuring place in our kitchen and the learning that day completely exceeded my expectations. As a first time mom, with next to no experience with children, I felt it was important to gain some first aid knowledge specific to babies and kids. The course was exactly what we were after - real life examples, specific and relevant, perfectly timed and run in a professional but relaxed manner. My mom, husband and I all found the course to be invaluable and I continue to recommend it to all the new parents I come across. We are more confident parents because of the workshop and have recommended it to many friends! My husband and I booked ourselves in to the Kids First Aid workshop in order to feel better equipped to care for our 10-month-old in life-threatening situations. The workshop was clear, concise and practical - no practice bandages or blowing into dummies. The presenter was friendly and engaging. We are more confident parents because of the workshop and have recommended it to many friends! I left the class feeling totally capable of using first aid if the need ever arises. 'I have a 9 month old baby and quite a few nieces and nephews. So I thought it would be a good idea to get some training in first aid. I'm hoping to never have to use it. But in case I ever do, my trainer Kate was so fantastic that I left the class feeling totally capable of using first aid if the need ever arises. She was very knowledgable, and approachable. I thoroughly enjoyed my class and I have recommended it to all my friends'. My daughter had recently started textured solids and I would have mini heart attacks anytime she gagged on her food - my sister suggested I attend your first aid course as it helped you to identify and manage a choking baby/person. I also wanted to refresh my first aid skills, specifically related to infants and kids. I liked how the workshop focused on the main situations/conditions related to caring for infants/kids, and the real-life examples provided by the presenter enhanced the learning experience. The Kids First Aid workshop provided me with confidence and knowledge to deal with emergency situations related to infants/kids - which is so important as a first-time mum or anyone working with kids. I liked the fact that the course gave me confidence that I will know what to do if I'm faced with my child having an accident. I took the course as a was 6 months pregnant with my first baby and although I'd done a first aid course a felt I wanted one specific to babies and children in case a was faced with an emergency situation. I liked the fact that the course was so specific and so practical. It gave me confidence that I will know what to do if I'm faced with my child having an accident or injury. I would and have recommended the course. Well worth the peace of mind. We would definitely recommend it to all parents to be to prepare and feel confident to take care of their baby. My husband and I decided to attend the Kids First Aid workshop while I was pregnant after friends of ours had a close call with their son and a pond. We thought it would be good to be prepared for the arrival of our son. We loved the relaxed atmosphere about the course and the coordinator. It didn't feel like a formal lesson, it was very informative and we felt we gained a lot without being bogged down with too much information. We would definitely recommend it to all parents to be to prepare and feel confident to take care of their baby if/when needed. Also a good refresher for anyone who is already familiar for First Aid. I feel a lot more comfortable that if I need to perform CPR on my little girl, that I will be able to follow the correct procedure. 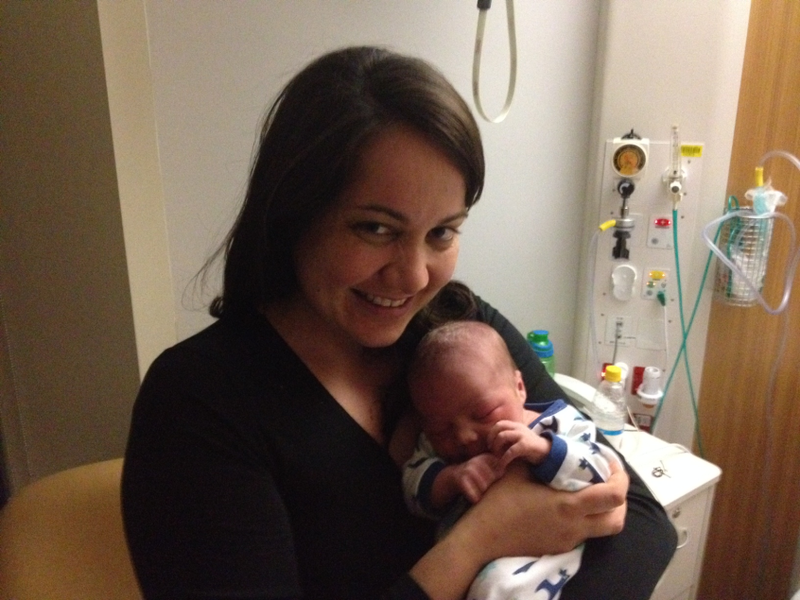 I attended the course as I have a 9 month old daughter who struggles with reflux issues. As she has now been introduced to solids which she tends to reject, the possibility of needing to perform CPR on her is unfortunately high. The structure of the course is very good and the lady conducting the course was engaging and made it a easy to follow and understand. I now feel a lot more comfortable that in the event I need to perform CPR on my little girl, that I will be able to follow the correct procedure. More than just CPR, the course offers a lot a value insight into many other areas of FirstAid i.e. very informative on a wide range of dangers/hazards so no doubt I would recommend all parents/carers to get involved – anyone would be better off for it. The instructor made the course fun and the way he did run the workshop I would remember, as you keep engaged. I wanted to attend the workshop as I have a newborn. I don't know how to give CPR and wasn't sure on alot of things I learnt. I do know that the instructor who was a Paramedic made the course fun and the way he did run the workshop I would remember, as you keep engaged. I do definitely recommend this workshop. The Kids First Aid course gave us the skills and confidence to deal with the main emergency situations. I would recommend this course for any parent, grandparent or baby sitter. I now have the knowledge to help my child and anyone else who needs my assistance. As a new mum, I have been looking around for a first aid course to attend, which was not only close to home but a concise version of the rest offered out there. Your course did exactly just that. Steph we a great presenter; as a mum and paramedic, she was able to relate to what was going through our minds. I now have the knowledge to help my child and anyone else who needs my assistance. Am hoping that I'll never come across any of these terrifying situations but having the knowledge have somewhat made me that little bit more confident. I would recommend this to everyone that has children as they move so fast and you cant keep your eyes on them 24/7! My husband and i decided to do the kids first aid workshop as a safety precaution in case something ever did happen with our baby who was 3 months at the time. I was especially eager to do the course as I wanted to be prepared for choking when i introduced solids which was only just around the corner. I have done a number of courses before including first aid and find if they haven’t got my attention straight away i end up falling asleep and thinking of other things. This course was fun and interactive and not so boring as other programs can be. I would recommend this to everyone that has children .. as they move so fast and you cant keep your eyes on them 24/7! My partner and I decided to attend as we are expecting our first child and felt a little overwhelmed by the responsibility of keeping the baby alive after it arrives. The 3 hour session that was specifically focussed on babies and children was perfect for us as it wasn't a huge time commitment and also addressed all of our concerns - as well as identifying some concerns that we didn't realise were concerns. We now feel prepared and look upon the arrival of our baby with some reassurance that we have a little more knowledge to keep our baby healthy and safe. I feel the First aid knowledge gained from the workshop is essential and every parent should have this knowledge. I attended Kids First Aid workshop, because I'm a first time father and wanted to know how to react in case of an emergency. The interaction was great and listening to the different parents experiences was very helpful and I felt comfortable. I would recommend Kids First Aid to others, because I feel the First aid knowledge gained from the workshop is essential and every parent should have this knowledge. No matter how busy we think we are, I believe every parent should make the time to do this course. After the birth of my son, I really felt it was my responsibility to know how to care for him, particularly in the case of an emergency. A first aid course was therefore a logical step for me. I made it a priority. I searched the internet and found Kids First Aid was exactly the course I was looking for. It was a concise 2 hour course (so I didn't have to leave my baby for long) that focussed on the most common emergencies, making it easier to follow but also to remember! No matter how busy we think we are, I believe every parent should make the time to do this course. Our children are worth it. I was so pleased I went, as there were so many more scenarios than I had thought of, particularly in relation to choking. I decided to attend as I had a small baby at the time, and felt I could do with some extra first aid knowledge. I was so pleased I went as there were so many more scenarios than I had thought of and I felt the information was excellent, in particular in relation to choking. Plus the presenter was great, relaxed, funny and I had a good laugh. It was well worth attending, I highly recommend it. We have had the pleasure of attending two kids first aid courses and we could not recommend them enough. With the birth of each of our sons we felt that it was important to brush up on our first aid skills. Each of the presenters were very entertaining retelling real life stories from their paramedic experience that re illiterates the importance of being able to apply basic first aid in the initial moments. The poster is also a fabulous addition which allows you to review on a regular basis. A great present idea for all first time parents or those needing a refresher!! I have done first aid courses before but none specifically geared towards new mums and dads! The 'kids first aid' course was invaluable! I have done first aid courses before but none specifically geared towards new mums and dads! There is so much to learn as a new parent and the presenter was very clear and open to questions during the whole course. I would highly recommend this course as valuable information at an affordable price! The course was informative and refreshed a lot I already knew from a previous one. I went to refresh first aid for my second child who is 6 months. I liked how it covered a lot of first aid situations. It was informative and refreshed a lot I already knew from a previous one. Wished we could have tried CPR on a dummy though. Enjoyed it. I came away feeling much more confident about how to react in a crisis and when I need to seek help. I would highly recommend KidsFirstAid to anybody who is going to be spending time with babies or children. Friends of mine raved about the course and it definitely lived up to expectations. There was great coverage of common accidents/illnesses we might encounter and the paramedic who ran the course was excellent at answering questions and easing concerns. I came away feeling much more confident about how to react in a crisis and when I need to seek help urgently. I've done adult first aid courses before but this course was much more targeted and I certainly learnt things I didn't know before. Additionally, I booked for a large group of people including members of my mothers group and their partners and really appreciated the help I received in getting the booking right and the flexibility shown for organising a large group. After 3hrs you will come out with a lot more confidence on what you need to do if the situation arises. I did a senior first aid course years ago but I couldn't remember most of it and it wasn't targeted for caring for kids. The Kids First Aid course teaches you exactly what you need to know and not what you don't. After 3hrs you will come out with a lot more confidence on what you need to do if the situation arises. Highly recommended! I found the course extremely helpful and left feeling much more confident about responding to emergency situations with my children. I realised the need to attend a children's first aid course when y 18 month old hit his head and stopped breathing. In the minutes before he finally took a breath and while dialling 000 I realised that I really didn't know the best way to help him. After this incident I immediately enrolled in the children's first aid course. It was the only course I could find which focused on the needs of children. I found the course to be extremely helpful and left feeling much more confident about responding to emergency situations with my children. I would really recommend the course and was so pleased by it that I will be sending my mum and husband along. Every parent should attend so they feel confident and prepared for any situation with their children. To ensure that we were well prepared for any possible emergency with our children and felt confident applying first aid. The presenter was very knowledgeable and funny. There were real life examples that made us aware of situations that could occur and what we should do to prevent or manage these situations. Every parent should attend so that they feel confident and prepared for any situation that may emerge with their children. It was a lot of fun. I made the decision to do a first aid course when it was made clear to me that I wouldn’t know what to do in an emergency. We were given a sleep apnoea alarm as a present for our baby. We attached it to the cot & it gave us peace of mind. However, one night it went off. It was a false alarm thankfully; however, upon hearing it, I froze and didn’t know what to do. I realised then that if it were the real thing, I wouldn’t have the knowledge, or the confidence to do anything. I attended a first aid course in May. I chose ‘First First Aid’ as all the presenters are paramedics. Our presenter was very personable and answered all our questions. I liked that the workshop was in a small group, which meant that we had time to ask as many questions as we wanted. Also on a personal note, I had an issue with attending the workshop. I was worried that I’d have problems rearranging things but the director, Katie, was not only sympathetic to my issue but also very happily accommodated my wishes. It is this sort of personal touch, combined with the fantastic workshop, which makes me happy to recommend ‘Kids First Aid’ to anyone wanting to do a first aid course. Ok, well the best thing I can say is that I thought it was so good that I booked my mum in to go for a session too (she is in Sydney) to refresh her skills. She said that although she doesn’t look after the kids very often as we are interstate, it gave her some great quick tips and some more confidence on what to do if something (god forbid!) did go wrong. I really enjoyed the fact that the session was very personal – it was a small group of people so we could all ask specific questions that related to our kids and what specific mischief they might get into! We still have the poster on our laundry wall with all of the key points, including numbers to call, which is an excellent reference guide. For me, I think it has given me just a bit more confidence on how to react in a first aid situation – luckily we haven’t had any major incidences, but my 2.5 year old son did get his arm caught in the fencing in our yard and was totally freaking out and even though I was swearing on the inside I just stayed calm and thought laterally and managed to get him out pretty quickly and to calm him down which was even more important. Katie is fantastic – I love real life stories and examples, it is much easier to relate to someone who has been there, don’t that. But without judgement, yay!! It was fantastic and I would highly recommend it (and have) to anyone who cares for children or has children of their own. I left the course feeling confident that I had obtained knowledge that I could implement in an emergency. I especially liked the informal way of learning and the presenters are very knowledgeable and happy to answer all queries. "I decided to attend a Kids First Aid Workshop following the birth of my first child so that I would know how to deal with a baby/child in an emergency as we live quite some distance from the local hospitals. I especially liked the informal way of learning and the relaxed atmosphere and the presenters are very knowledgeable and happy to answer all queries. I would definitely recommend these courses to others as being an Adult Nurse, this was the first time I had come across any course of this type to deal with babies/children." It teaches you the 10 most common incidents that happen and can potentially save your babies life. I chose to do the kids first aid workshop because I wanted to know what to do if the scenario happened at home with my baby. The 10 most common incidents that happen with young children and babies as this put my mind at ease, knowing if it ever happened I wasn't the only one to experience it. To attend as it teaches you the 10 most common incidents that happen and can potentially save your babies life. I would recommend to go over the cpr on the doll a bit more in depth and maybe hand out a flyer as well the poster. 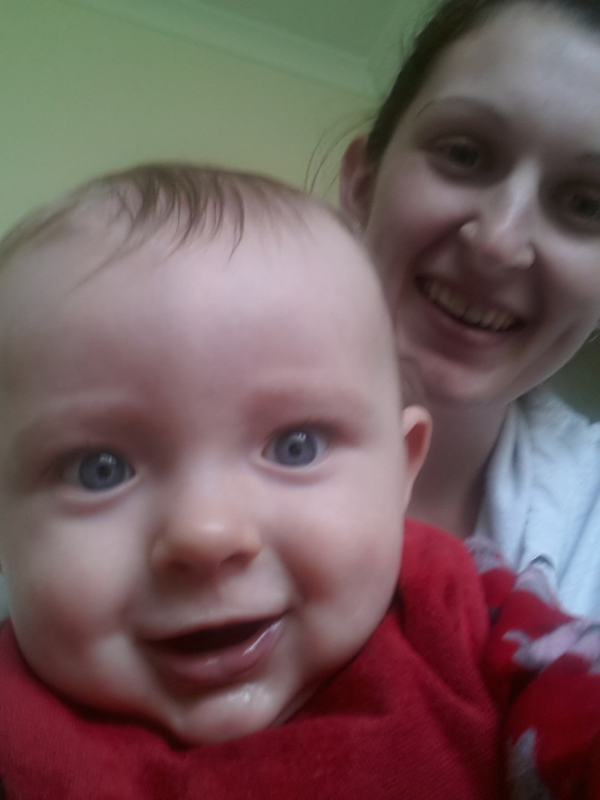 I have also attached a picture of myself and kaiden. It was practical and easy to follow. Plenty of real life examples made it relevant and held our attention. Both my husband and I felt that we needed to be better prepared and have more information about first aid, with a particular focus on kids (we have a toddler and another one on the way). It had been a very long time since either of us did any first aid training or education. It was practical and easy to follow (not too much detail, stats and numbers). Plenty of real life examples made it relevant and held our attention. Having just a few key take-aways meant that we can hopefully remember the important information. The material presented was very informative and the presenter was able to answer all questions thoroughly. We found the kids first aid course very useful, especially as first time parents and with very limited medical knowledge between us. The material presented was very informative, the presenter had an excellent presentation style and was able to answer all questions thoroughly. I have basic first aid training but that doesn't really cover much for infants so i am very glad we attended. The summary poster provided is great, we have one on the fridge in the kitchen and one in the nursery just in case we need a reminder. We would recommend this course to any parent, first time or not, since you never know when you may need to use even the most basic first knowledge for your own or other peoples kids. The workshops were a great introduction to first-aid. The day was clearly structured, there was time for questions and it occurred to me that it would probably be the most important workshop I could attend, knowing that this information could save a life. The presenter was very personable, spoke from his experience in the ambulance service & was keen to help everyone learn as much as possible about first-aid skills. The course helped alleviate any fears that we may have had about calling an ambulance if an emergency ever occurred. "As new parents we were very keen to have some basic knowledge of what to do if the worst would ever happen. We found the course to be informative and delivered in a relaxed manner. The paramedic who ran the course helped alleviate any fears that we may have had about calling an ambulance if an emergency ever occurred. We have already recommended the course to others and will continue to do so". Just a quick note to say thank you for the First Aid session last night. Not only was it very informative but entertaining as well, and everyone was happy with the content. Steve was a great presenter. We’d love to have him back again. And of course if we have any 000 emergencies at home, we all want him to attend! Last night was attended by 18 of our kinder committee members and a few of their friends. We now plan to ask the parents from each of our four kinder classes if they would like to attend a session. Nicola will be in touch with you to arrange this later. The session was thoroughly entertaining... even with the serious nature! Thanks so much for a fabulous session today! We had a great time, the session was thoroughly entertaining... even with the serious nature! And we learnt so much, now feeling far more confident. We will definitely be recommending your course..
Just a brief note to let you know how much I appreciated the First Aid session for parents that you held this evening at Taverners' Hill Infants. As an R.N / Midwife & Parenting Educator, I was very impressed by both the accuracy & detail of your information, & the friendly, reassuring way in which you presented it to us. As a Mum of small children, I went away tonight feeling much more confident in what to do when "it all goes to custard"! - you consolidated many dormant bits of knowledge for me, plus adding plenty of new ones You have a true "nack" for what you do & your time & skill was very much appreciated. Just wanted to thank you and Craig for organizing our Kids First Aid course. We've had terrific feedback from attendees and would like to congratulate you guys on the professional approach and well organized presentation. My husband and I attended and got so much value from the course and have the poster stuck up on our fridge for reference now. It was excellent. We just wanted to say a big thank you for the excellent first aid course at Crows Nest on Saturday. We found the course was very practical and helpful and thought that Craig was a fantastic presenter. Knowing of his extensive experience and hearing his stories was great but we also found him to be very clear and good at reinforcing the main points. Our poster is up to remind us of the things covered in the course. Hopefully we won't need to use what we've learnt but it's good to feel prepared. It was also very helpful for us to be able to bring our baby along - we probably wouldn't have signed up if we couldn't have. Thanks again. I just wanted to thank you for your wonderful program! My husband and I attended your KFA session last saturday and came away feeling confident and even excited that we had attended!! What to do in an emergency was always something that terrified me (not only for our baby but even just if someone collapsed in the street!). Before having our baby, the fear of something bad happening sortof paralysed me and thus prevented me from making sure I knew first aid because I thought it was so complicated that when I needed it I'd get all confused anyway and make things even worse for whoever needed my help. However after giving birth to our baby son, I realised I had to make sure I was prepared for an emergency - no shrinking back! After your fantastic program I feel more confident that I can calmly (hopefully!) recall and put into action whatever needs to be done if we have an emergency situation - the program was so practical. Katie applied it also to adults in a clear and simple way, which I really appreciated. I am a person that usually has a hundred silly questions, so I was really grateful that Katie patiently took and cheerfully answered everyone's questions (which usually covered something I wondered also) until everything she was instructing us was clear in everyone's minds. I was amazed at how logical and simple so many first aid steps for various situations are! Things have changed since learning all those complicated and confusing procedures in P.E. at high school! After realising how simple (and obviously life-changing) first aid really is I cannot help but wonder why it isn't compulsory for everyone to learn first aid! The fee is peanuts when compared to the value of what is learnt. Thank you also for the fantastic poster to help reinforce what we learnt. We already have it hanging in the bathroom where we can read over it every day so it will become a second-nature reaction. We have been telling all our friends about what to do in different situations which also helps us to remember the steps clearly. I've done many first aid courses in the past but what I learnt in your course will stick in my mind. I've been meaning to email you to say thanks for the fantastic first aid course. Ben was a great presenter. Informative and entertaining. Everyone that attended (managed to get the 10th person on the morning of the course!) was very pleased. So thank you for such a wonderful course. I was so pleased I passed on your information to my daughters kinda and have been telling other friends and family. My husband thought it was the best first aid course he had ever been on. I meant to write after out course to say what an excellent course we all thought it was and how well presented it was by Heidi. The content as absolutely spot on. My husband thought it was the best first aid course he had ever been on (and he has been on a few over the years). Anyway, sorry this is so late, but better late than never! My husband and I attended your recent Woollahra course after being very scared by a choking incident with our nine month old daughter the week before. What a great course! Alan was a wonderful presenter. He had so much great hands on experience. His stories kept things lively as well as illustrated the skills we need in a way that I'll remember. I also found it invaluable how he explained the cause of different injuries/conditions and the reason a particular treatment worked. My husband thought it was the best first aid course he had ever been on (and he has been on a few over the years)., but it really has. I've been on plenty of first aid courses over the years, but never one as informative and entertaining. Just wanted to say thank you for the course yesterday at Vodafone. I've been on plenty of first aid courses over the years, but never one as informative and entertaining. Katie, you have a real gift with people, and it was a pleasure to be a part of your course. I wanted to be confident for my daughter to and this course has improved my confidence 100%. My daughter is 2 years old and I have been meaning to do a first aid course since before she was born. I wish I had done it sooner but a family accident prompted me to book in because I clearly panic in an emergency (aka I scream) but I wanted to be confident for my daughter to make sure I had some idea of what to do and this course has improved my confidence 100%. Alan was brilliant I particularly appreciated his experience and his ability to convey the information with some humour. I would recommend this course for anyone looking to pick up the basics of first aid. Prior to participating in your course I would have panicked and been unsure of how to react in a positive way. I was the one who attended your Kids First Aid Workshop in Balmain some time ago and I must say, still reaping the benefits from what you taught us that day. 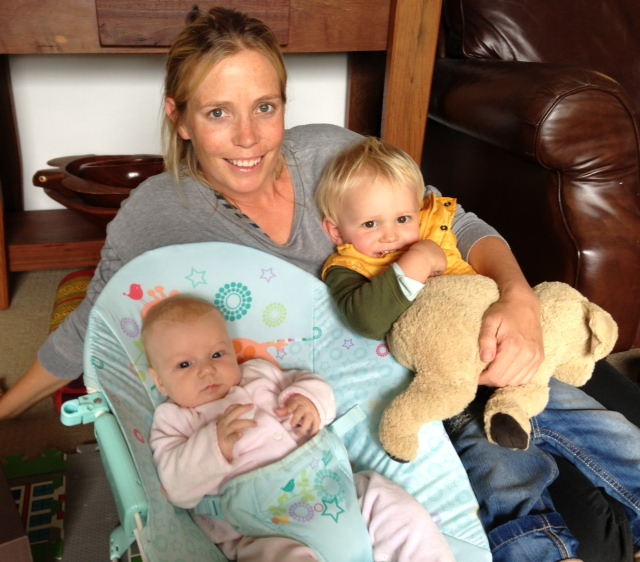 I look after my daughter's three children - Ben aged 4, and twins Lucy and Alex now aged 22 months. I had done a two day course about five years ago and realised I needed to refresh my skills when the twins were about to start crawling. Melinda enrolled me in your course and I believe it is the best course I have ever done! Honestly! I learnt things about first aid for kids that were effective, simple and most of all quick. You did say during the course that we would not remember everything verbatim but that we would hear your voice - and I did some months later when Alex at the age of 18 months hit his head so hard you could see the bruise on his forehead growing. We didn't hesitate to take him to hospital for observation that time. Three weeks later Alex, again, hit his head on the stairs and split his forehead - again, we didn't panic and again, took him to hospital to be patched up. My point is that prior to participating in your course I would have panicked at the sight of all that blood - it looked like a massacre had happened - and been unsure of how to react in a positive way. I have talked about your course to my friends at length and think it should be mandatory for all grandparents who mind children. It will enhance reaction time and erase some of the old ways of dealing with childrens' injuries such as putting butter on burns. 'I have a 9 month old baby and quite a few nieces and nephews. So I thought it would be a good idea to get some training in first aid. I'm hoping to never have to use it. But in case I ever do, my trainer Kate was so fantastic that I left the class feeling totally capable of using first aid if the need ever arises. She was very knowledgable, and approachable. I thoroughly enjoyed my class and I have recommended it to all my friends'. Just wanted to say how wonderful and informative I found the Kids First Aid course. It was something I was meaning to do for awhile. My husband (who is quite confident in first aid) works away a lot and with baby number 2 on the way I knew I had to be prepared for the unexpected and I am so glad I did. For someone who knew very little first aid I walked away feeling confident in what I had learned and the poster I received on all that was discussed at the course is now up on my wall as a constant reminder of what I would need to do in an emergency. Fortunately I've not had to put anything into practise but I can't stress enough how important this course is if you have or are minding kids. I have recommend this course to other friends and they have loved it too. This course was such a positive experience and I would highly recommend to anyone who is around young kids". "The course provided me with the confidence to know how to react to any number of real life situations I may find myself in with small children. Within a week of having completed the course, we were already able to rely on what we learnt when faced with a situation involving our toddler. This course was such a positive experience and I would highly recommend to anyone who is around young kids". As parents you want to be equipped to protect and care for the little thing you love the most. Why I attended - having a newborn made both myself and my husband nervous about "what if..." as parents you want to be equipped to protect and care for the little thing you love the most. What I liked most - the presenter being an experienced ambo and the way he reassured me (the group) to stay calm and act. Why recommend - instilling the self-confidence to act (do something). To learn to control your panic in a highly stressful situation. Your emotion needs to come second, to focus and get them stable prior to medical assistance arriving. It gave me confidence that I will know what to do if I'm faced with my child having an accident or injury. I would recommend doing first aid classes through Kids first aid to anyone. I attended the kids first Aid class as I have two young children and I haven't had any previous first aid training. It was very educational and I got a lot of good information I can use and tell other parents about. I was very happy with the experience, the ladies who ran the seminar were friendly and answered all of our questions. I would recommend doing first aid classes through kids first aid to anyone. Knowing that I now know what to do in an emergency is a great relief. I would like to thank Kids First Aid for arming me with the knowledge I think every Mother needs. It has given me peace of mind and allowed me to be less nervous with my very active and confident 2 year old, twin boys. They are at an age where they like to jump, swing, hang and climb off everything, so knowing that I now know what to do in an emergency is a great relief. The course has given me peace of mind and allowed me to be less nervous with my 2 year old twin boys. I would like to thank Kids First Aid for arming me with the knowledge I think every Mother needs. It has given me peace of mind and allowed me to be less nervous with my very active and confident 2 year old, twin boys. The Kids First Aid course was fantastic. It was great receiving practical information from paramedic staff who deal with these events almost daily. Although I never want to have to put their teachings into practice, I know if I do have to I will have the confidence to do so. The session was thoroughly entertaining... even with the serious nature!It teaches you the 10 most common incidents that happen and can potentially save your babies life. The course is a fantastic knowledge base and something I have recommended to many of my friends. With a holiday planned in Bali with our energetic 2 year old and a newborn I decided I could no longer put off learning first aid as I realised my ability to respond to an emergency situation may be the difference between a good and a disastrous outcome. The course is a fantastic knowledge base for first aid in general and something I have recommended to many of my friends with small children. It seems crazy not to invest in a first aid course which you need to save your baby's life. When you think about all the money you spend on preparing a nursery, obstetrician bills etc, not to mention all the cautions you take when pregnant (no sushi, soft cheeses etc) it seems crazy not to invest in a first aid course which will arm you with the tools you need to save your baby's life if the worst ever happens. I could not recommend that you and your partner (and any other care-givers) do this course so that you can be armed with the knowledge and confidence to provide care in an emergency. I learnt about you guys through the Brisbane Kids website, and attended a session at Chermside Westfield. I leant so much just in that couple of hours. You were both engaging, informative, entertaining and knew how to speak to parents like it mattered. I have definitely been recommending you to my friends and family, and will be back again for a full course once finances permit it. The knowledge given was to the point and case specific. Katie put me at ease and had my attention the entire time. I choose to go along to a Kids First Aid Workshop after the birth of my second child and I wish I had have known about this course when due with my first child so I didn't have to go through the whole feeding solids period nervous about choking and what I would do if the worst happened. The knowledge given was to the point and case specific. Katie put me at ease and had my attention the entire time with her anecdotes and 'real mum' stories. I left feeling confident that I know what needs to be done if I ever need to use it. Definitely recommend it to new parents/grandparents/aunts/uncles etc It's a few hours - use wisely. I found the course to be extremely helpful and left feeling much more confident about responding to emergency situations. While I hope I never have to use them, I feel that I would cope better in a situation since attending your course. My husband and I found the Kids First Aid Workshop extremely helpful. I would highly recommend it to any parents, friends or family that spend time around young children. I found it particularly helpful as I had not done a first aid course in many years and it was good to be talked through different scenarios on what you should do. It was a good reminder on not to panic and the steps you should follow for the top 10 medical situations that were discussed. I found the Meningococcal one extremely helpful. We are extremely happy that we attended the course. While I hope I never have to use any of them I feel that I would cope better in a situation since attending your course. I came away feeling much more confident about how to react in a crisis and when I need to seek help urgently. My husband and i decided to do the kids first aid workshop as a safety precaution in case something ever did happen with our baby who was 3 months at the time. I was especially eager to do the course as I wanted to be prepared for choking when i introduced solids which was only just around the corner. I have done a number of courses before including first aid and find if they haven’t got my attention straight away i end up falling asleep and thinking of other things. This course was fun and interactive and not so boring as other programs can be. I would recommend this to everyone that has children .. as they move so fast and you cant keep your eyes on them 24/7! The Kids First Aid course was invaluable. The Kids First Aid course was invaluable. It was presented in an honest, easy to understand manner, and gave (literally) life-saving advice for those situations, as parents, we dont like to think of. Every parent should do one! The course has proven to be well worth it for us! Other than that, we are both glad to have done the course and my husband in particular, benefited from the ‘treating bites’ section as he’s not from Australia and has not had to worry about things like snakes and spiders (lucky him). This service is fantastic as it allowed me to learn first aid specifically for children. "This course has given me invaluable information that could potentially save the life of a child one day. This service is fantastic as it allowed me to learn hands on first aid specifically for children from not only a paramedic but one who was a mother as well. Having a teacher who could relay personal stories and who could empathize with each question asked, made the course so much easier to understand and remember. Thank you for creating a course that provides such vital information in such an approachable way." I certainly feel more calm and confident armed with the knowledge I've taken from the Kids First Aid courses. I attended a Kids First Aid course four years ago when my first daughter was born. I thought the course was great - so much so, that I attended another one last week as I felt the need to refresh my memory. Both times, the information was delivered in a simple and succinct manner, holding my interest throughout the 3 hours, and hopefully making it easy to recall in an emergency. I now have two daughters, aged 2 and 4, and certainly feel more calm and confident armed with the knowledge I've taken from the Kids First Aid courses. I did the first aid course because I have two kids and would have struggled known what to do if anything happened. I took this course because it wasn’t one of those one or two days courses only a few hrs but after doing the course I could have stayed all day. Katie was so interesting in her stories and very funny. As a grandmother to three beautiful little girls including a newborn I felt I needed to update my first aid knowledge and skills. The Kids First Aid course was very informative. As a grandmother to three beautiful little girls including a newborn I felt I needed to update my first aid knowledge and skills to ensure that my grandchildren are as safe as possible when in my care ! My son in law, his mother and my daughter also did the course. Knowing about safety especially in and around the home and knowing what to do in the case of emergency is so important! I feel that I would also like to do more of the practical CPR with mannequins in future. I was so pleased I went as there were so many more scenarios than I had thought of, in particular in relation to choking. I decided to attend as I had a small baby at the time, and felt I could do with some extra first aid knowledge. I was so pleased I went as there were so many more scenarios than I had thought of and I felt the information was excellent, in particular in relation to choking. Plus the presenter was great, relaxed, funny and I had a good laugh. It was well worth attending, I highly recommend it. The course helped me and my husband learn exactly how to do CPR and how to look after kids when they have a fall or swallow something. I wanted to learn first aid because I have three grand kids aged 6,3 and half and one half. Of these, the 3.5 year old and 1.5 year old are boys and full of action. We also have a backyard swimming pool which is a big attraction for all kids. The course helped me and my husband learn exactly how to do CPR and how to look after kids when they have a fall or swallow something. He gave us a quick guide poster that I am hanging in the kitchen and refer to it all the time. just some feedback - the course was fantastic - he really simplified the treatment and made me more confident about actually using the content than other courses I have done. Just a quick note to thank you so much for Tuesday's presentation. The presenters knew their stuff, but were so friendly and easy going that nobody in attendance felt embarrassed to ask questions - so all went away feeling a lot more comfortable in their role as parents. I've had nothing but positive feedback from all the parents who attended. So thank you again - it's a wonderful service you offer, and definitely one I will be recommending to everyone! I can imagine that your business will grow very quickly. It is a wonderful concept and very very helpful. I heard about you by word of mouth and am so pleased to have managed to get a group of friends to be part of the afternoon. Alan was there to hear the enthusiasm of the group that participated. Alan was not only informative and interesting but also very accommodating in answering our questions. He was also helpful with a few tips which might help us with signs of heart attacks and how to handle that. I thought that if anyone from the afternoon had any comments to make I would send them on to you. Ben, both you and Jenny have a very easy manner and made me feel very comfortable in getting this group of friends to participate in the course. Thank you, Wal and I now feel much more confidant being a grandmother/babysitter. I attended a first aid course and just wanted to say thankyou very much for a fantastic course. Everyone enjoyed it and feels a lot more confident now as parents! My husband and I found the material was easy to understand and delivered very well...(could be boring to listen to if the speaker presents in a boring manner) but Sue was really good and kept everyone engaged the whole time. I am so glad I did it and feel much more confident now in dealing with issues should they arise. Please thank Sue for doing such a good job. Her experience really showed on the day and she was a lovely lady to deal with. Just a quick note to say thank you for the great session you did recently for us here in Canberra at Georgie and Deane’s house. We found the session incredibly helpful. Hopefully we will never need to use the things you taught us but we certainly feel a lot more comfortable now if we had to. We will certainly be recommending kidsfirstaid courses to all our friends and family and suggesting to our local member that they contract you to present as part of the new parents post-natal classes. Justin and I attended the course at Woollahra yesterday and I think by the time we got home (to Alexandria) I had said about 5 times how great the course is and how glad I was that we had done it. Before attending, my big fear was choking, and finding out what to do in the event that our bub ever does this will save me pureeing his food until he is 21!! We sincerely hope we never need any or all of the info (oh I live in a fantasy world don't I? Please...we have a boy on the way! ), but we would much rather have it and not need it than the other way around! Thanks so much for such an informative session. We first saw Kids First Aid on Kochie's Business Builders show (is that what it was called?) and though we weren't pregnant at the time, thought what a great idea it is that you have come up with and kept it in mind for now, when number 1 is on the way! I will be sure to spread the word when we make our way into a Mother's Group in the coming months. Congratulations on such a fantastic (and needed) business idea and thanks once again for a really great session yesterday. Hi! Just wanted to drop you a quick email thanking you for our course last night. Sue did an amazing job .. and we were all shocked at how little we knew. Fabulous night, with the compliments coming thick & fast. Very informative, and great format. Learnt soooo much! I have now emailed your details to all of my friends/family ... so would expect everyone I know with children will either be attending a course or organising their own. Thank you again. Absolutely Brilliant! Can not thank you enough for undertaking this great business idea. Just wanted to let you know we thoroughly enjoyed the course we attended in Crows Nest on Saturday. I have done the St Johns course a couple of times and this course was far superior. Katie was a scream, she made us laugh but she sure knew what she was talking about. My confidence in handling a situation now is much, much higher, Thank you. It s great to watch the TV show "000 Heroes" now as recognise the steps I have learnt being re enacted. We can’t protect them from all the dangers of the world but we can make sure we are responsible and reduce the dangers. I attended your course in Ballina a couple of weeks ago and just wanted to say thank you so much for your frank and very informative presentation. Even though I had a little bit of first aid training I learned heaps and feel confident that I could now handle almost anything that might happen in the best possible way until the ambulance arrives. Since your lecture a few things have changed around here, I now carry a mobile phone with me everywhere when I’m walking on the property with my daughter – I’m not so blasé about snake bites or injuries that might occur away from the first aid cupboard and for summer I plan to have a snake bite kit (dressing & broad bandages) to live in the back pocket of the pram. I have sorted out our first aid stuff and medications which used to be in a bottom drawer in the kitchen but now lives in a high cupboard on the wall since Lily can now open drawers! We have chucked out all the old stuff and restocked with the important stuff. The cupboard under my sink used to house bleach, cleaning products and dishwasher tablets but that all lives in a high cupboard now and all we have under the sink are dishcloths and pots and pans. My husband does regular first aid training at his work but we had some good conversations about what you had presented and he realised that a lot of the important stuff for kids is not covered in his training so he has now learned vicariously through me and through your poster the difference between adults and kids when it comes to first aid. I wanted to let you know what a great job you did, you made us all think and yet did not condescend or make us feel bad about making such common mistakes. We can’t protect them from all the dangers of the adult world, but we can make sure we are responsible and reduce the dangers to a minimal level. I sincerely hope that your business thrives, you certainly deserve it.